Having trouble viewing this site? Try updating your browser to the latest version or allowing ActiveX. We have felt the need to give guidelines to assist good conduct from our anglers while fishing at Nar Valley. Long stay anglers - The same swim can only be fished for 7 consecutive nights by the same angler, and that angler may not return to that swim for 7 consecutive nights. Fishing close to another angler - When two anglers are fishing opposite each other they may only fish halfway across the lake. Recognised double swims - One side or other must be made available to any angler wishing to fish there if only one angler is present. This season ticket only coarse fishery is a gravel pit complex comprising of five lakes between half acre and thirty five acres. The season runs from 1st June to 31st March on the Lakes and the coarse fishing season on the river runs from 16th June to 14th March. Nar Valley fisheries also offers Trout fishing for lake enthusiasts and river anglers alike. 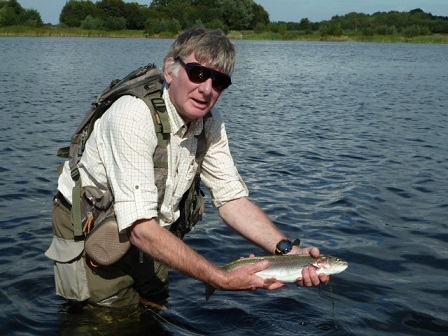 Hobbs lake is a 25 acre Trout fishery regularly stocked throughout the season; on the same permit we have a mile and a half of the recently restored River Nar which holds a good head of Brown Trout and the occasional Seatrout, available from 1st April to 30th October. 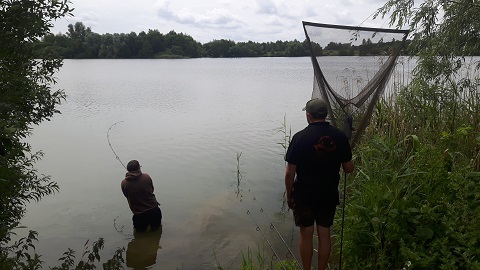 At Nar Valley Fisheries you will find a mix of five lakes and ponds which between them offer a wide variety of fish for you to catch, including Bream, Tench, Rudd, Roach, Carp, Pike, Wels Catfish and Perch. Also on the coarse fishing permit are two other lakes of 33 acres and 25 acres with limited bank access. So you can see we have plenty to offer on one permit covering 10 months of the year. Our sixth water is Hobbs Lake which offers Rainbow and Brown Trout fishing all year round (please note that Hobbs Lake requires a seperate season ticket to the coarse fisheries). The complex can be found in the heart of West Norfolk. From the A47 between Kings Lynn and Swaffham, in the village of East Winch take the turning opposite 'The Carpenters arms' public house to Pentney. Follow this minor road for approximately 2 miles. Go past the entrance to 'Pentney Lakes' for a further 300 metres until you pick up the signs to 'Nar Valley Fisheries'. Season 2019/20 Coarse fishing permits will be on general sale from 20th March 2019. We expect a few permits will be available; this includes Premium (�0) and Standard (�0) nights and plenty of Dawn to Dusk tickets. To grab one before they are put in the local tackle shops call me on 07900 285313. Nar Valley Fisheries is managed, and has been since it's concept in 1992, by Gayton Road Fisheries. Gayton Road Fisheries undertake fishery management work to improve your fishery and supply fish bred at our own fisheries. All of the fish we sell are bred on sites managed or owned by us and are, therefore, closely monitored for parasites and diseases. Endeavouring to maintain disease free stocks, we disinfect all our equipment after its use and try to minimise the stress to the fish we handle. This in turn means we are limited in the quantities of fish which we have available each year. Therefore, the earlier the order is placed the easier it can be met in full. To be able to give a complete service to our customers we are able to offer not only fish but plant life for your ponds and lakes as well. Water Lilies and rooted pond weed are also available.